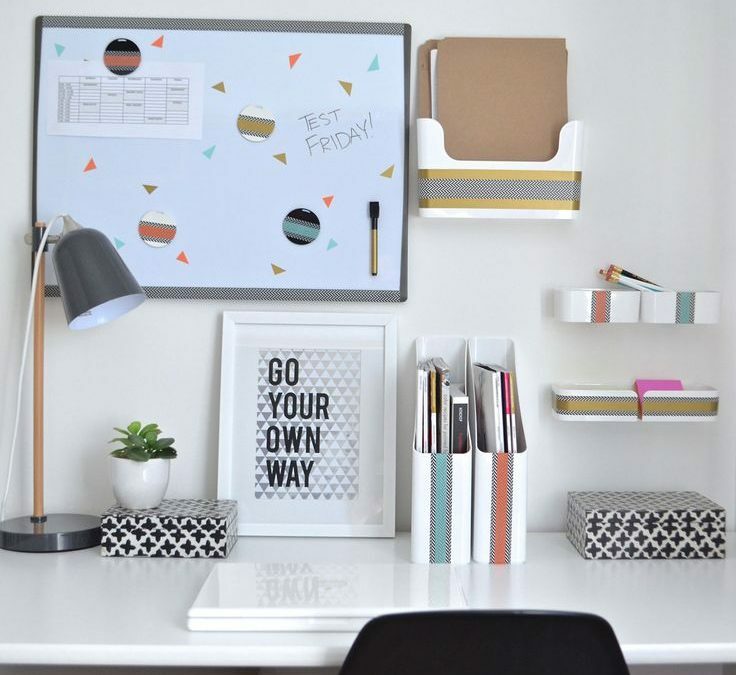 We’re sharing some of our favorite apartment hacks: organizing drawerless desks! Regardless if your office desk is large or small, clutter will start building up if there’s no storage space for your work essentials. 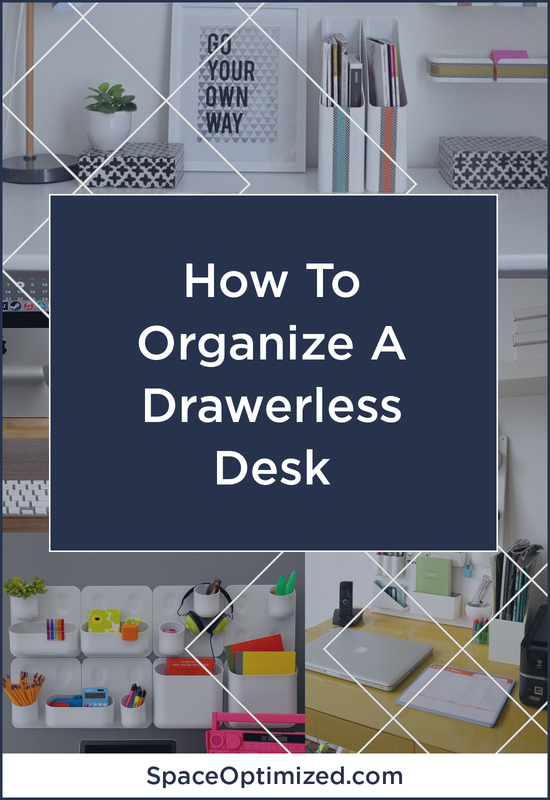 This goes especially for drawer-less desks. So how do you keep your office desk neat and organized without drawers? An ideal office desk must have room for your computer or laptop. 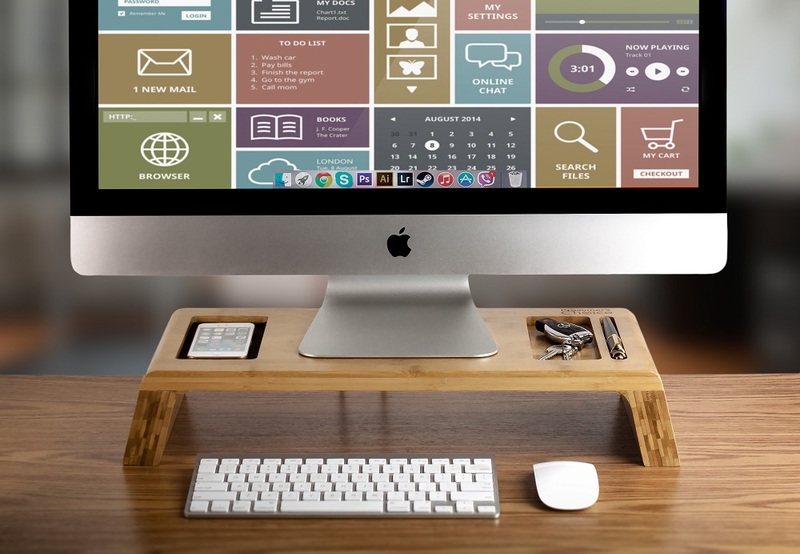 Instead of propping your PC monitor flatly on your desk, invest in a monitor stand, one that offers a little more space for other office supplies. This pretty wooden monitor riser by aleratec is made from sturdy (and sustainable!) bamboo. The PC monitor riser offers the perfect boost, allowing your computer monitor to stand at eye level so you can work comfortably. The added space on the sides and bottom can be used to store smaller items or keep your keyboard out of the way, respectively. 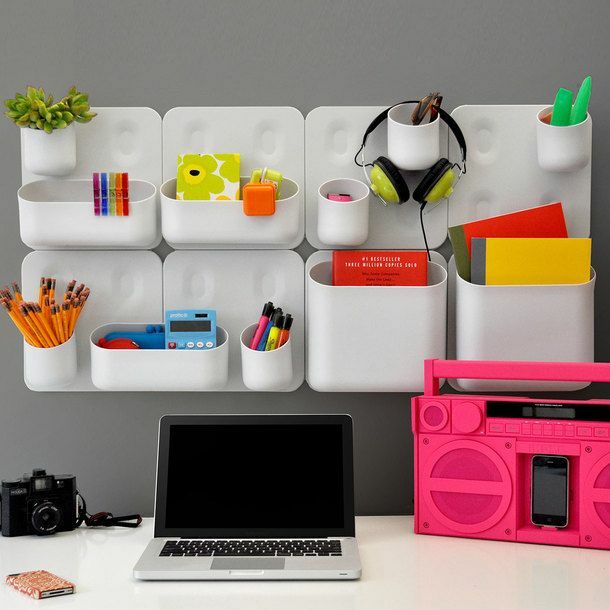 Don’t leave that naked wall space to waste, use it to de-clutter your desk and curate your office supplies. 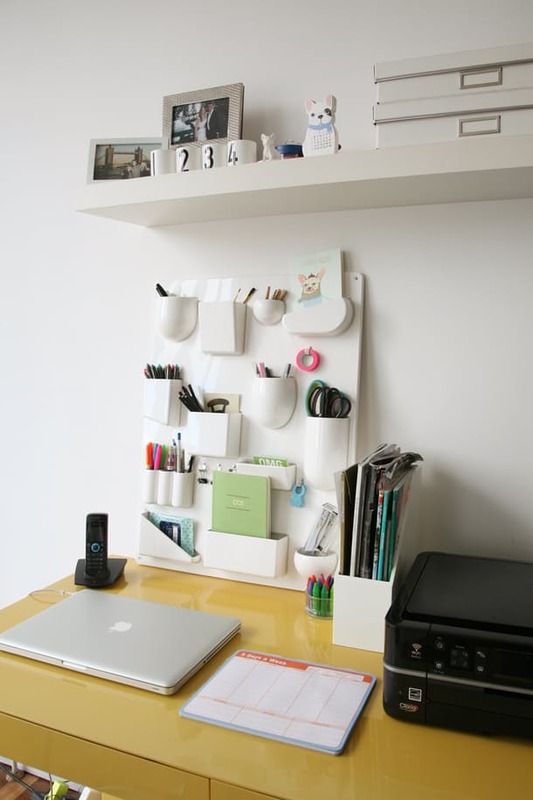 You can use your wall space to hang anything from post-it reminders to timetables, a whiteboard to a pinup board. 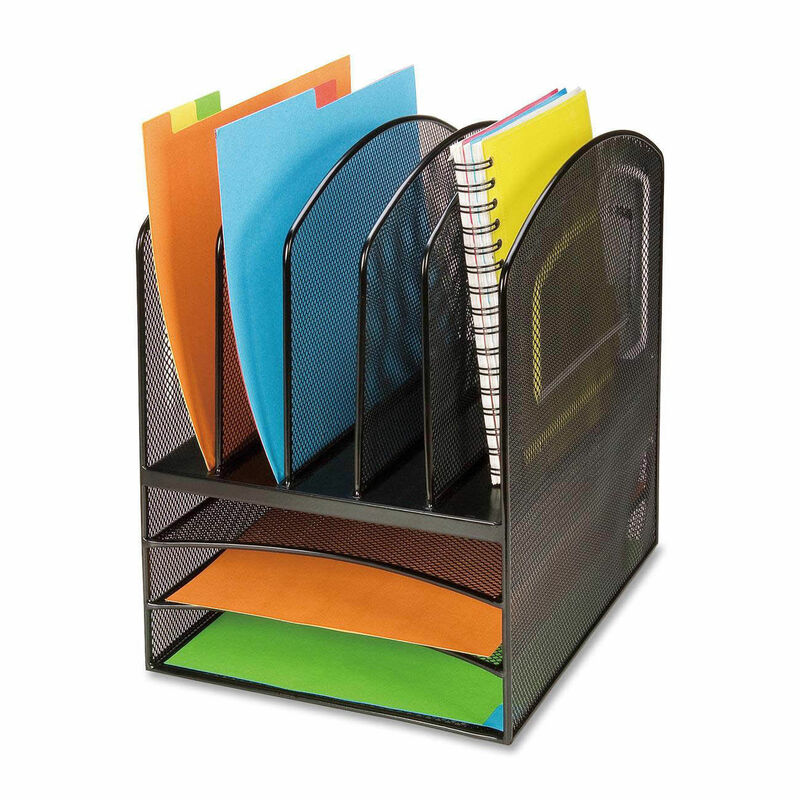 You can also install a decorative vertical organizer to store smaller office items! But if say, you’re not allowed to drill holes on the wall space at work, use a vertical organizer that can be propped against the wall. 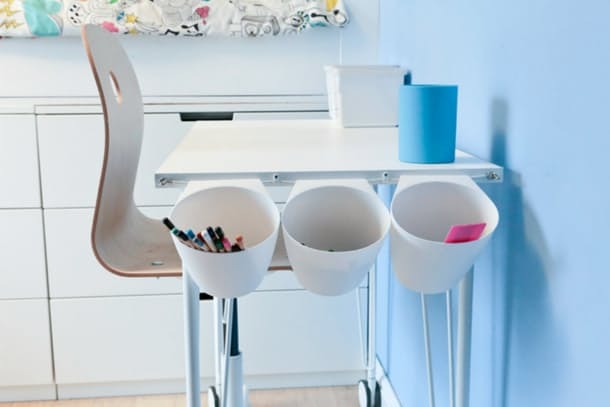 Did you know that you could convert the sides of your desk into handy organizers using decorative bins, screws, and hooks? Just drill a hole on the sides of your desk and attach the decorative bins using metal screws. Use the bins to store your pens, pencils, stapler, and other items. A cluttered desk will interfere with your train of thought, which can make you unproductive, distracted, or inefficient at work. If you’re dealing with a lot of paperwork, your desk is probably littered with piles of paper. Organize important documents and pertinent paperwork by adopting a two-folder system and using a three to four level file organizers to sift through documents. Reserve one level for documents that you’ve checked, another for documents that you haven’t checked, and a space for completed documents that need to be filed. 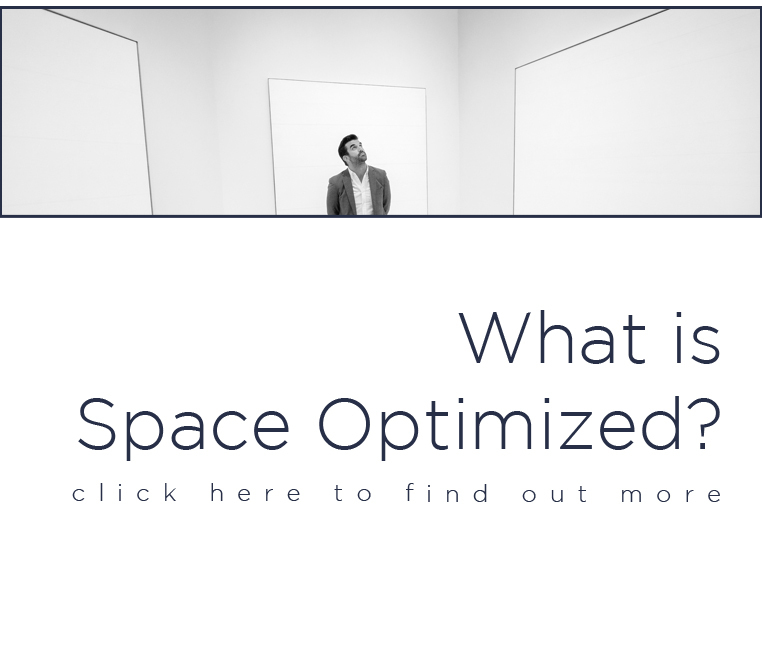 By organizing your files, you’d be surprised at how much space is left on your desk! 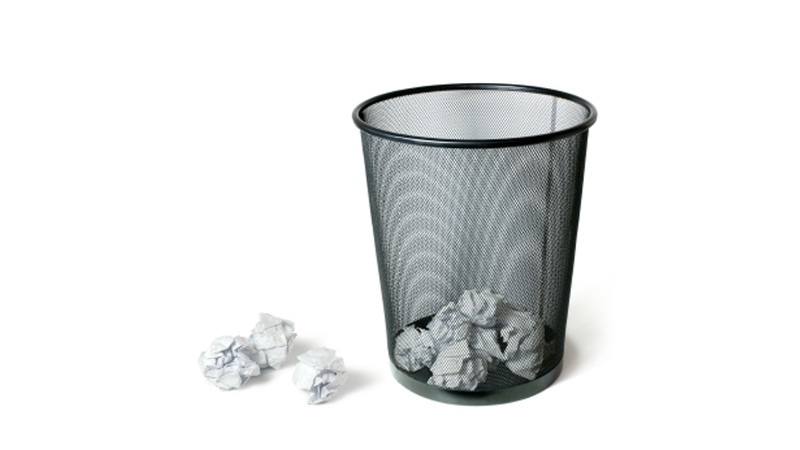 A simple and dirt cheap way to maintain a tidy office desk is to keep the trash bin nearby. Get a large trash bin and place it just a few inches away from your desk. This way, you have no excuse for stashing trash, just toss crumpled paper straight into the bin so it won’t end up cluttering your already packed office desk. 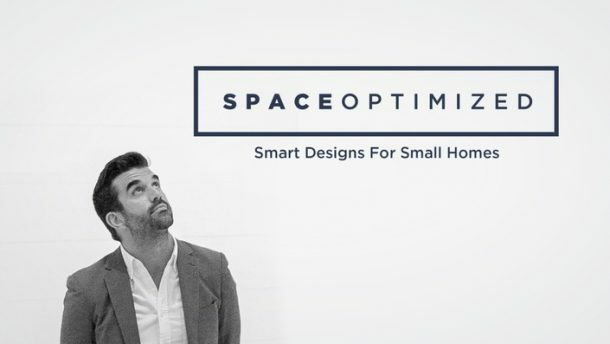 Got more space optimizing ideas? Share your own apartment hacks in the comment section!